The preparations for salmon are almost endless. 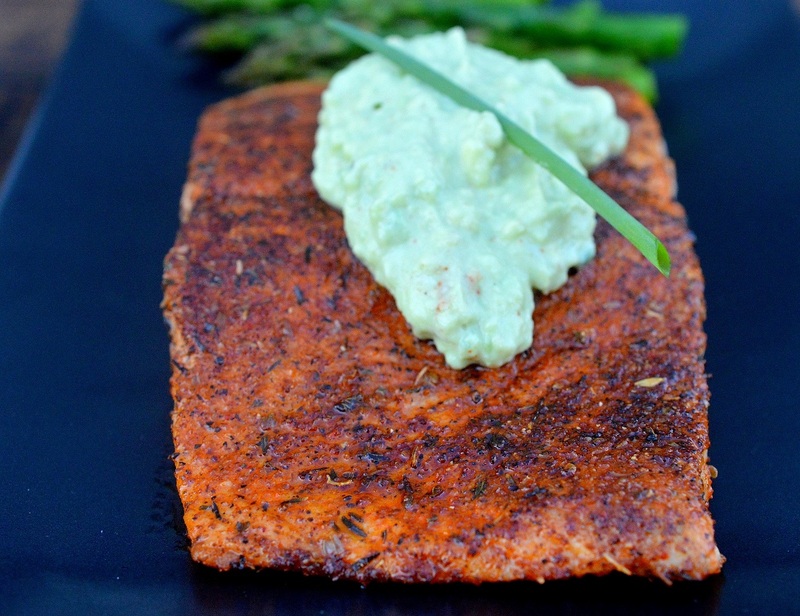 This Blackened Salmon with Avocado Cream recipe is literally a 20-minute meal! 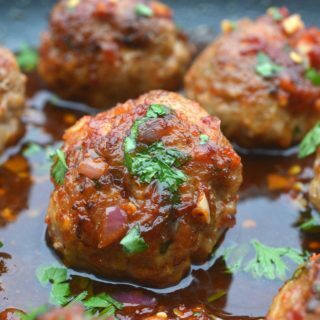 Perfect for lunch or dinner. Blackened Salmon with Avocado Cream is full of flavor, bright and good for you too! In this one simple dish, you get salmon and all of its healthy omega 3’s, all the goodness of avocados AND Greek yogurt! It’s a trifecta of deliciousness and nutritiousness! Say that 3 times fast! My kids love the Avocado Cream on its own with tortilla chips and carrots. It makes for a great snack! 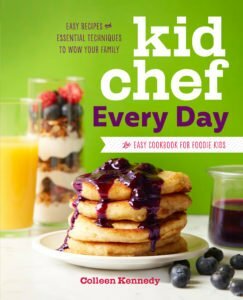 Even if you think you can’t cook, this recipe for Blackened Salmon with Avocado Cream is SO easy that even your 9-year-old could do it! Bonus!! When kids cook or at least assist in the kitchen, I promise you they will at least try whatever they helped make! I call that winning at every age! It’s time again to help feed families in need! Who is ready to do a good deed?? Once again I am partnering with Produce for Kids (something I have been doing twice a year for a few years) to help get the word out about their #PowerYourLunchbox Promise. Get inspired to eat a healthier lunch this year. By taking literally 30 seconds you can do the #PowerYourLunchbox Promise with your family $1 per family member will be donated to Feeding America. Every promise = 10 meals donated to families in need! 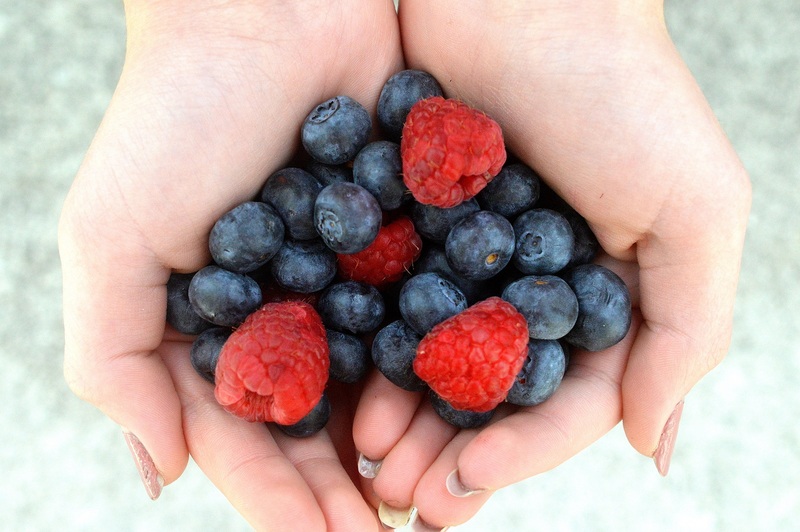 Every kid (and adult) needs a balanced diet of fresh fruits, lean proteins, and veggies! 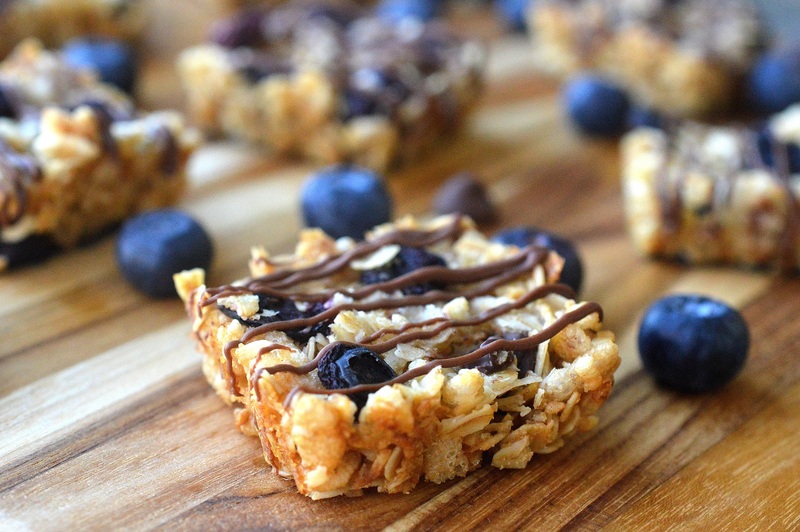 I will get this fun recipe for the granola bites up soon! Do you know that 13 million children in the US don’t know when they will get their next meal? That is a shocking statistic. Please join in, in giving back to those in need by making the #PowerYourLunchbox Promise. Every promise provides 10 meals! The new year is the perfect time to focus on the health of you and your family. We’ve partnered with Produce for Kids to re-inspire families to eat a healthy lunch in 2018. Make the #PowerYourLunchbox Promise and $1 will be donated to families in need through Feeding America! Sadly 1 in 6 children will struggle with hunger this year, which means there are kids all across the U.S. that could open an empty lunchbox today. Help give back by making the #PowerYourLunchbox Promise with your family. 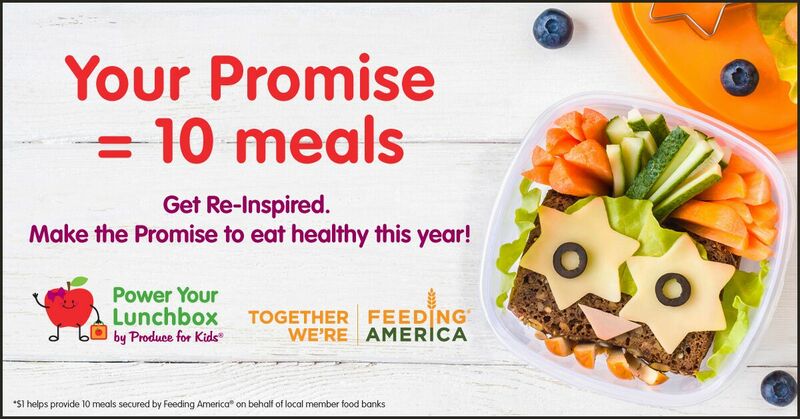 Your promise = 10 meals donated to Feeding America! Literally, just a few seconds of your time can help give back to families in need! Click HERE to Make the #PowerYourLunchbox Promise with your family and we’ll donate $1 to @FeedingAmerica for every promise made. THAT is amazing!! And you can know that TODAY you did a good deed…maybe the easiest good deed of the year to boot! SO today you get a two-fer! A delicious and easy recipe for Blackened Salmon with Avocado Cream that I think your whole family will love AND the easiest way ever to make a small difference in someone’s life! Tell your friends! 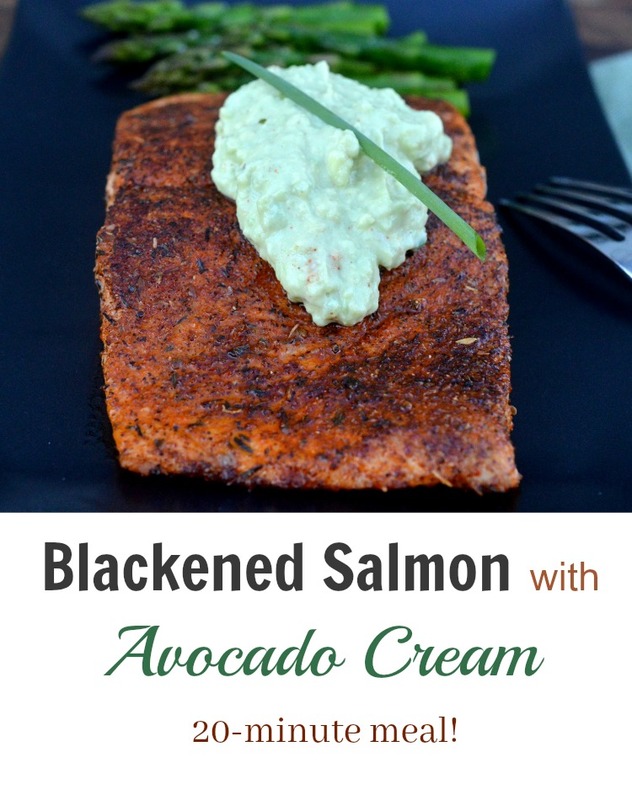 If you make this Blackened Salmon with Avocado Cream or just the Avocado Cream as a snack for you and the kiddos, tag me on Facebook or Instagram, I’d love to see your creation! In a food processor, add in 4 avocado halves, garlic (cloves or paste) & jalapeno and pulse until chopped up. Add Greek yogurt, salt, red pepper and lime juice and process until smooth. 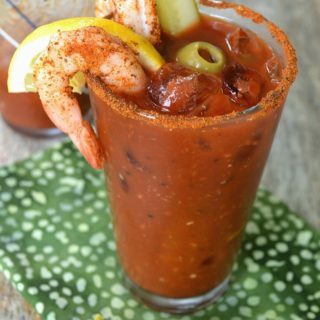 Taste and adjust to your preference for spiciness and saltiness. Heat 1-2 TBS oil in a non-stick saute pan. Season one side of salmon with blackening season. Remove salmon from pan, top with a dollop of Avocado Cream and enjoy! 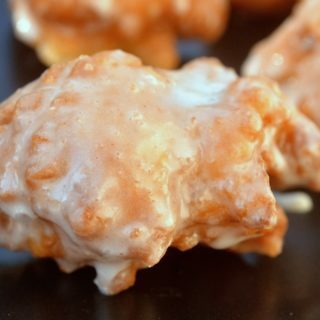 You can substitute sour cream for the Greek yogurt or do half and half for even more creaminess. 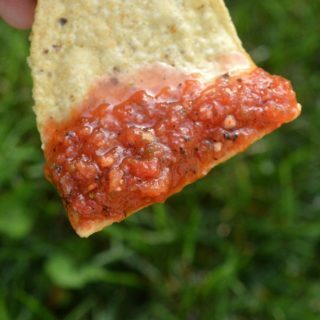 The dip is delicious on its own! We are not even Salmon eaters and this Blacken Salmon….was FABULOUS. I followed it verbatim and it was PERFECT. 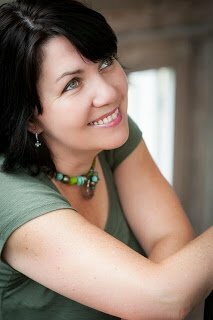 Love hearing that Amy! We don’t eat enough salmon, so I have been tinkering with different preparations. My son was bonkers for this version (minus the avocado cream) He said “mom can you make this more often??? It’s SO SO good! Gotta love it when your kid get6s excited while eating dinner!